I was looking around for a heart fpp pattern but couldn’t find one that was nicely rounded and took my fancy, so I got to work on designing a pattern of my own! I’ve come up with a design that is indeed nicely rounded and allows you to play with colour. 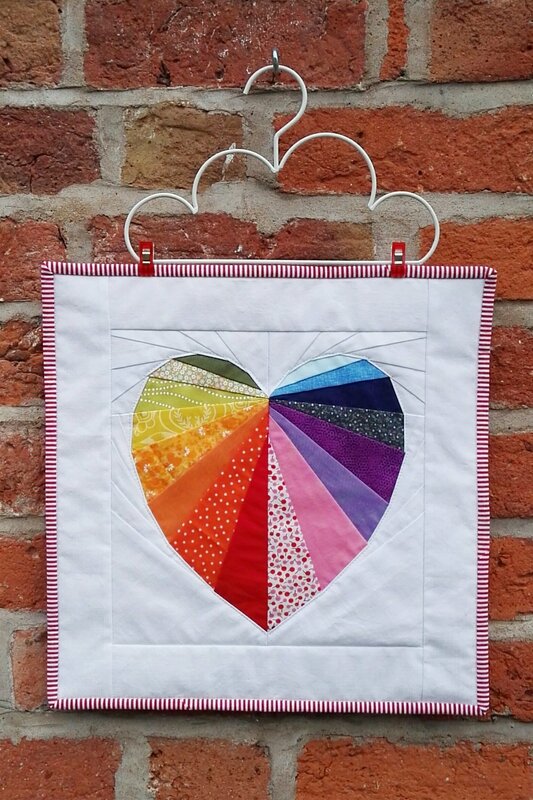 I’ve made my heart in a rainbow of colours, but I think it would also look great in several shades of the same colour, or in just two colours. What do you think? 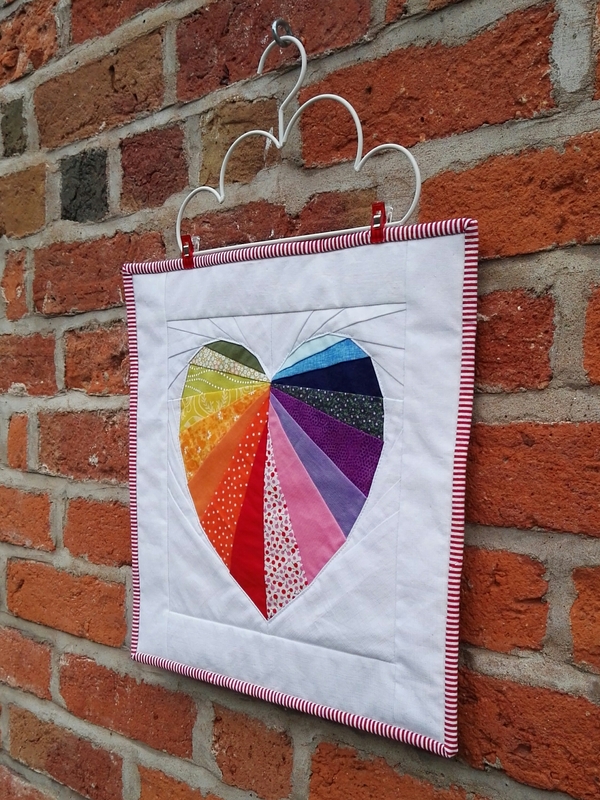 The ‘Facets of the Heart’ Foundation Paper Piecing pattern makes a 10″ block. The sample I made up was transformed into a mini quilt that is currently hanging up in my studio, trying to cheer up gloomy days. There aren’t any really tiny pieces so I would recommend this pattern to those who are at an intermediate or confident beginner level when it comes to paper piecing. The trickiest part is planning your colours and getting them in the right order! The pdf pattern is presented over 7 pages, 3 of which are the pattern pieces. 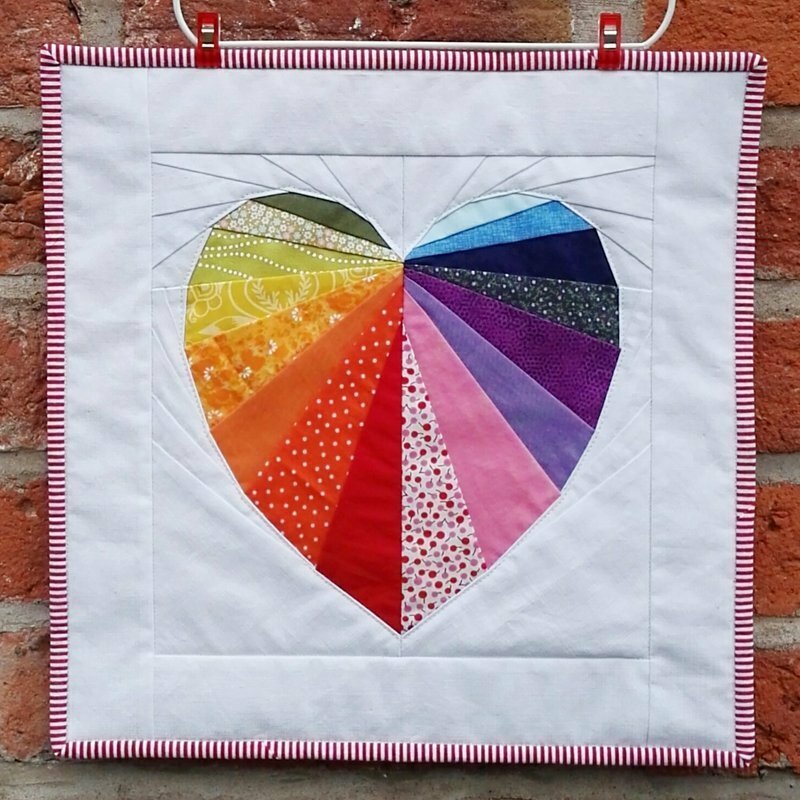 It features a full colour image of the design, a colouring diagram, a diagram on how to assemble your block as well as tips on how to print your pattern correctly first time around. All of the pattern pieces have been drafted digitally and have been reversed so that you can more accurately plan and sew up your colours in the right order. I’ve also included a 1/4″ seam allowance around each of the sections to make things as easy as possible for you. Use #facetsoftheheart when you’re uploading pictures of your work on social media so we can all see your great work. 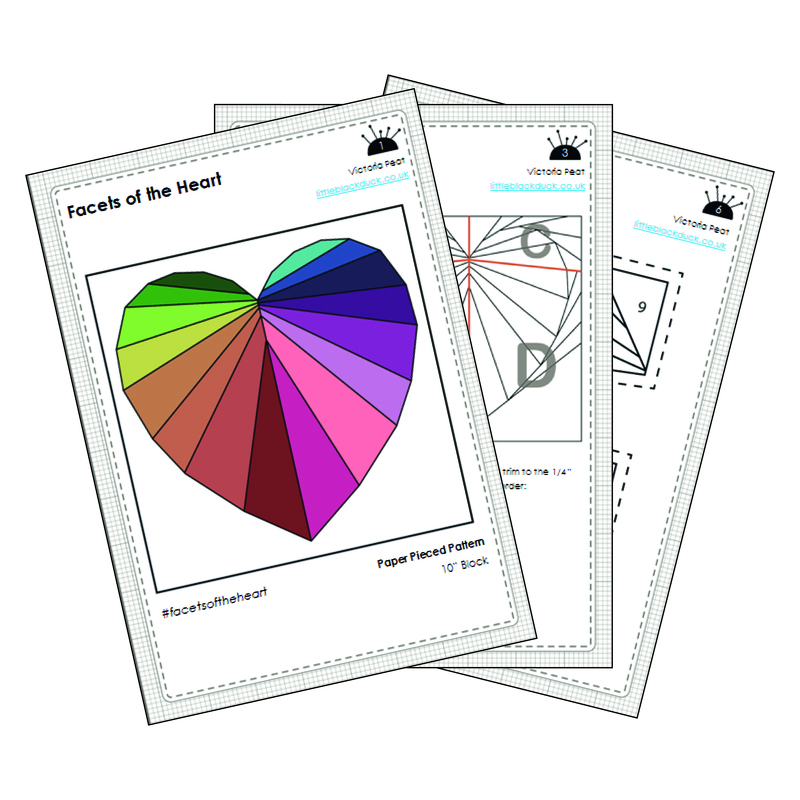 If you would like to buy a copy of the ‘Facets of the Heart’ FPP pdf pattern you can get a copy from my shop, my Etsy store or Craftsy for around £3.50-£4. I hope you love my Facets of the Heart pattern and enjoy making one of your own!